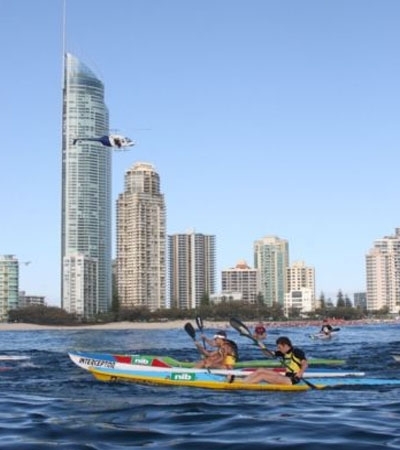 BookToday has a wide range of accommodation close to the Gold Coast Half Ironman Triathlon. The Gold Coast Half Ironman held on 3rd October 2010 is one of the six races in the Australian Half Ironman Triathlon Series. The Gold Coast Half Ironman is one of the six races in the Australian Half Ironman Triathlon Series. The race is Queenslands largest validation event for the 2011 Ironman Australia series. The event returns for its 3rd year to the stunning Calypso Bay and again athletes will complete a course that includes a one lap swim, three lap cycle and three lap run.